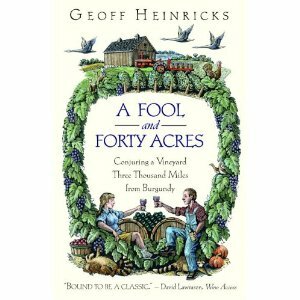 A Fool and Forty Acres by Geoff Heinricks – a book about one writer’s decision to try and grow a vineyard in Prince Edward Country long before such a thing was considered a viable idea. My lovely friend Ali on Twitter recommended this book and I’m really glad she did. I took A Fool and Forty Acres with me on our trip to the Mosel and now have memories of lying in our hotel room in Bernkastel-Kues reading the book with a view of the vineyards outside my window. While I didn’t finish the book on that trip (truth be told, this really isn’t a vacation read), I will always treasure that memory. built in Toronto to find my place among the vines. While I don’t want to start a vineyard, I can completely understand why Geoff did – and I applaud his dedication and determination to making that dream a reality. For those, like me, who discovered Prince Edward County just recently, this is a wonderful history of the origins of wine growing in the County. Geoff truly was an innovator at a time when few thought there was much point in planting grapes in the area, and his vision laid the foundation for many of the vineyards I know and love today. This book is in many ways a love letter to PEC and the history and beauty of the County that are so hard to resist. 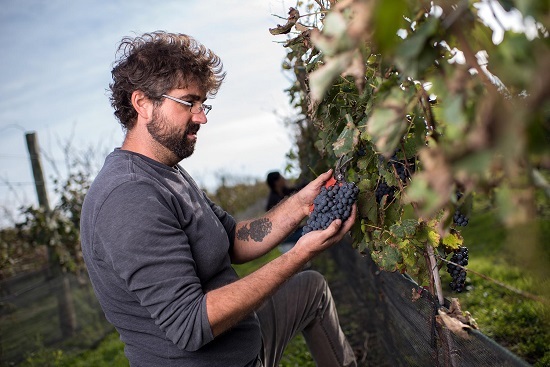 It’s also the story of one man’s struggle to turn a rundown farm into a viable vineyard. 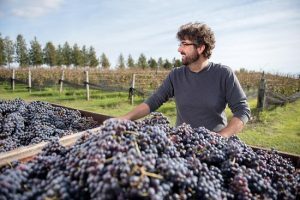 That Geoff succeeded despite the doubts of others and no end in struggles along the way is a testament to the power of his vision that PEC could be a wine region. Not to mention the incredibly hard work he put into growing those grapes. I can’t say I envied him the backbreaking work, but I understand putting everything you have into doing something you truly love. I hope many of you who read this review will pick up a copy of A Fool and Forty Acres. For those who love the County, it’s a must read and for those who love wine I think you’ll find this a fascinating tale.